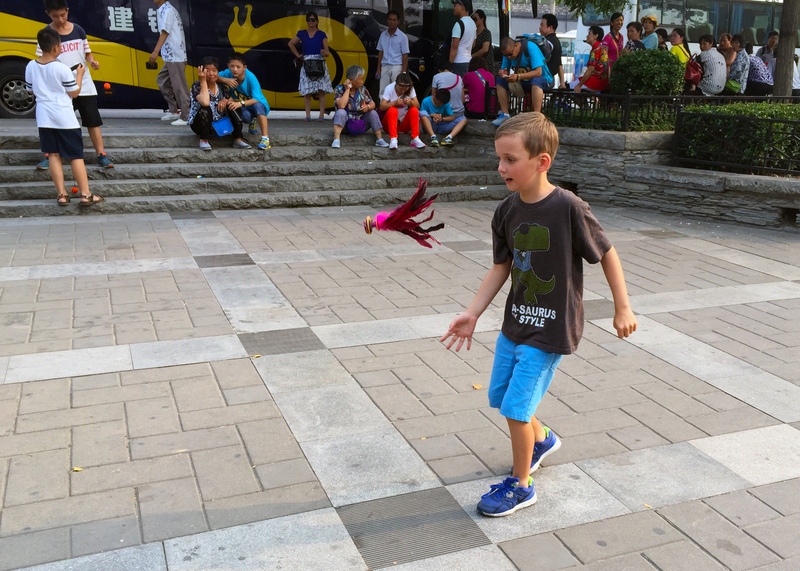 You might think that Beijing is not an ideal choice for a three-day weekend with an eight-year old in the middle of July. I was dreading the pollution and had avoided Beijing for a few years because of the smog but when the opportunity came to go again, we dusted our old guidebooks and took off. 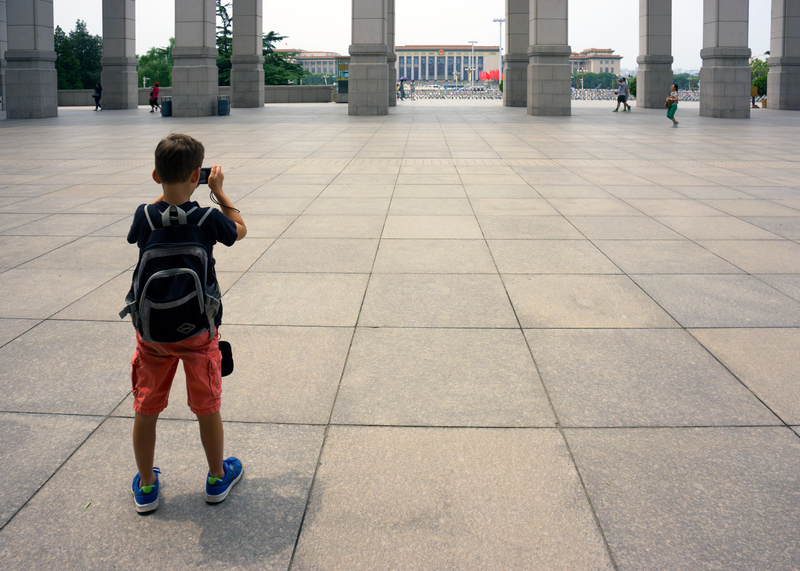 At first glance, there seems to be very little online about things to do with kids in Beijing that do not involve Ocean Park, the zoo or amusement parks in general. This weekend required more research but it was so worth it. Here is what I found and recommend. 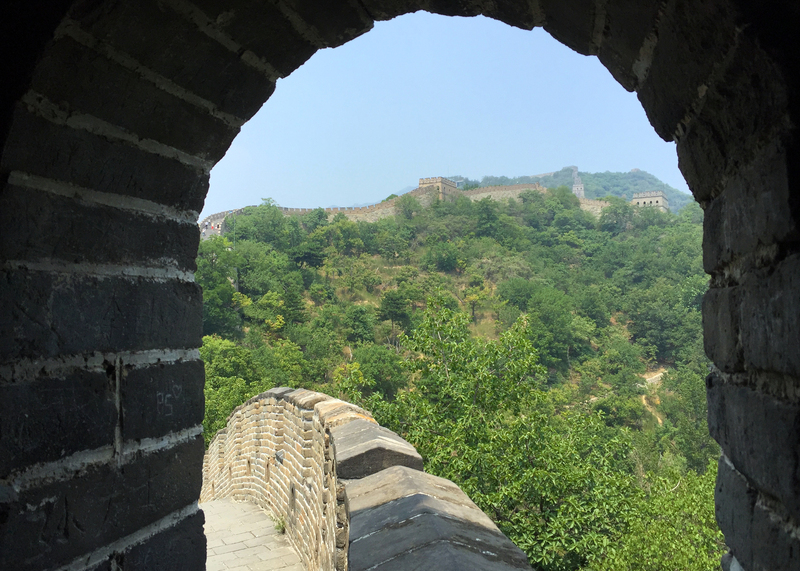 Of course, there cannot be a trip to Beijing without a visit to the Great Wall. 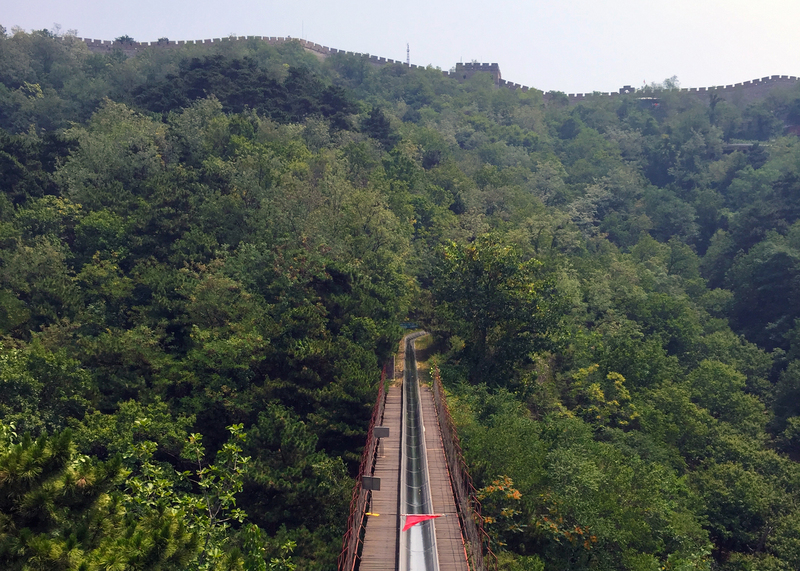 Having experienced the Badaling tourist trap in the past, we opted for what we remembered as the nicer way to explore the Great Wall: Mutianyu. Unfortunately, we were not the only ones. There is now a giant parking lot where you need to leave your car and buy the set of the many tickets you will need along the way. Whether you decide to walk, take the cable car or the chair lift for the way up and then the slide on the way down, you need a ticket. All these options are available and it seems that you can change your mind on the way if you’ve opted for the walk up and don’t feel like trekking down but fancy a giant ride down the slide. We chose the chair lift up with the slide on the way down – an absolute must with kids. Even if the number of tourists and hawkers has grown exponentially, the views, the walk and the slide down never disappoint. For the ride down the slide, stay away from a parent with a small child or a camera-trigger-happy-tourist who all have a tendency to slow down (if not stop all together) on the steepest slopes. No fun for adrenaline seeking kid (or parent) on their way down the metal slide. Whether or not your interest lies in numismatic, the Museum of Ancient Coins was a great find. 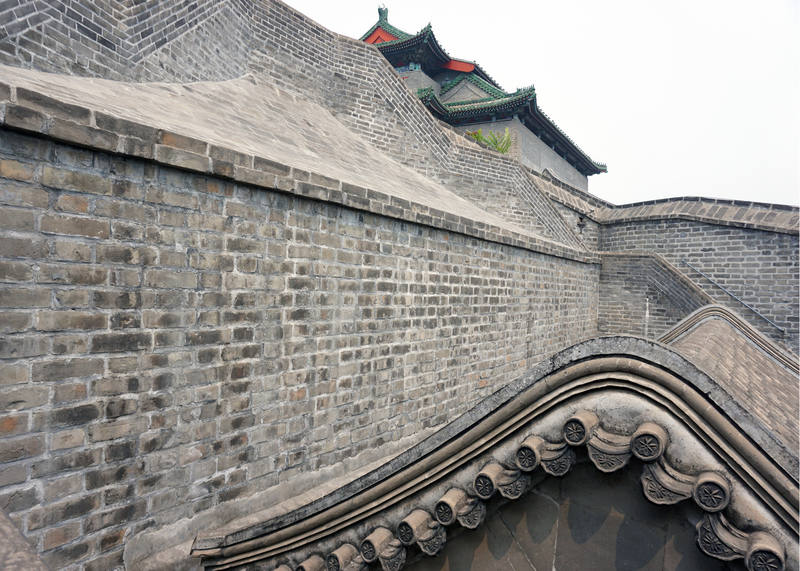 The museum is quite small with only two exhibition halls showcasing four thousand years of Chinese coin history but it’s connected to the Deshengmen’s watchtower, one of the last remaining towers from the Ming Dynasty City Wall. You can walk up the tower and admire the views of the city from the top. On display you’ll find weapons from the Ming Dynasty to the delight of children who can checkout giant cross-bows and siege warfare equipment from 600 years ago. 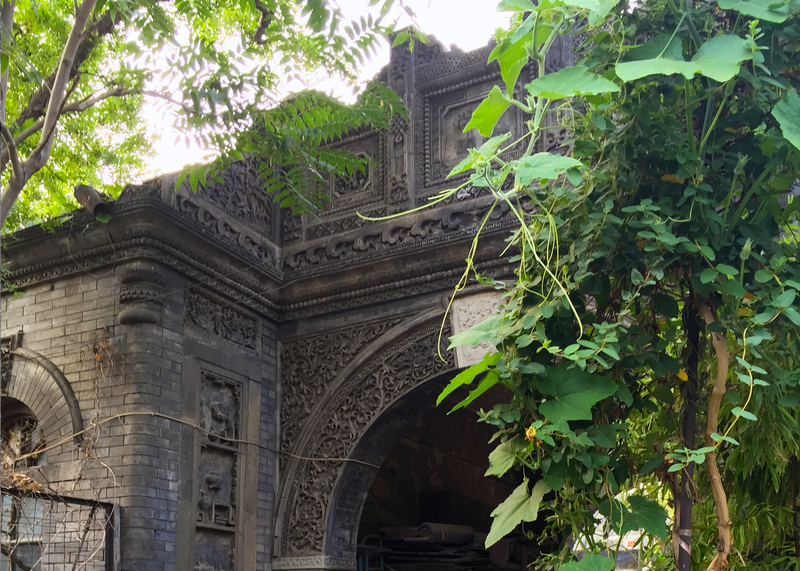 Exploring the hutongs in the heart of Beijing will bring you back hundreds of years. You can walk around on your own and get lost in the narrow alleys (our favoured option) or take a rickshaw who can stop along the way to show you special houses. If you are looking for souvenirs I would recommend Yandai Xiejie, while it’s touristy it’s much less overwhelming that Nanluoguxiang (a nightmare). If you enjoy gallery-hoping, there are many art galleries sprouting in this neighbourhood. If you get a chance to stop at Lab47 you’ll see an exhibition of French artist Thierry Liegeois (until August 20). With the heat pounding the city, everyone seemed to be zeroing in on the lake. Despite the signs forbidding swimming and fishing, we saw many people wearing swimming caps and doing laps in the lake. Not so appealing for swimming, the lake is a great place for paddle boating. We tried both the paddle and the electric options. Paddles are hard to reach for younger kids and our son preferred to play captain and keep his hand on the wheel of the electric version to follow the ducks around. Another great option for us to stay cool in Beijing was to spend an afternoon in the National Museum of China. Admission is free with a picture ID, hence the giant lines when it’s boiling hot. There is currently a very interesting exhibition on Walt Disney’s animated pictures (original drawings and a couple of interactive activities for kids). 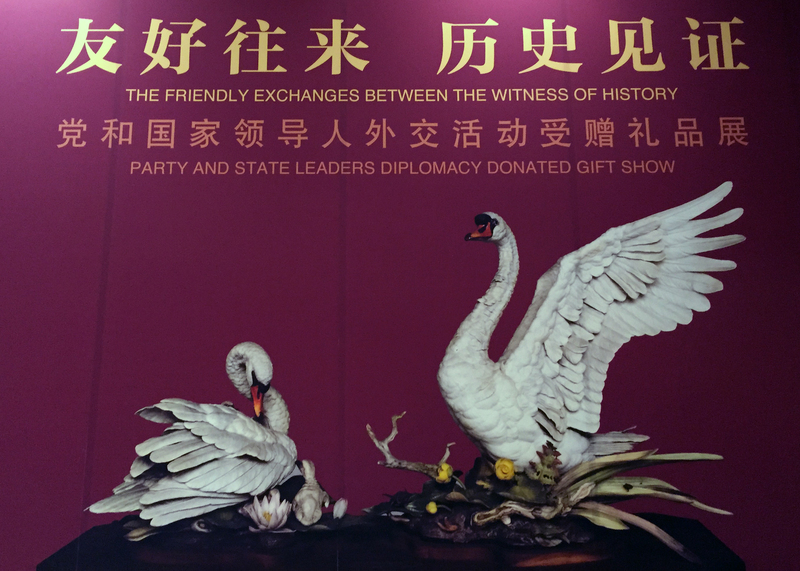 However, our favourite exhibition was the showcase of state gifts donated to China by foreign nations. We spent a couple of hours playing a guessing game with one rule: after taking a quick look (without reading the description) we took turns in guessing which country made the gift. To make it easier sometimes we limited the guess to continents. It was quite easy for gifts from India (mini-Taj Mahal) or Egypt (Sphynx-like sculpture) but more challenging for pieces from Europe. In every Chinese park you’re bound to find people playing jianzi. It’s a game played with a shuttlecock (like in badminton) but with feathers and weights. The casual game involves passing the shuttlecock around from player to player using only feet and other body parts (no hands). It looks fun and so easy! We had to try. Well, it’s not easy at all. Very quickly, we were joined by a group of young Chinese who were all too eager to show their skills. We bought one to bring home and practice some more. 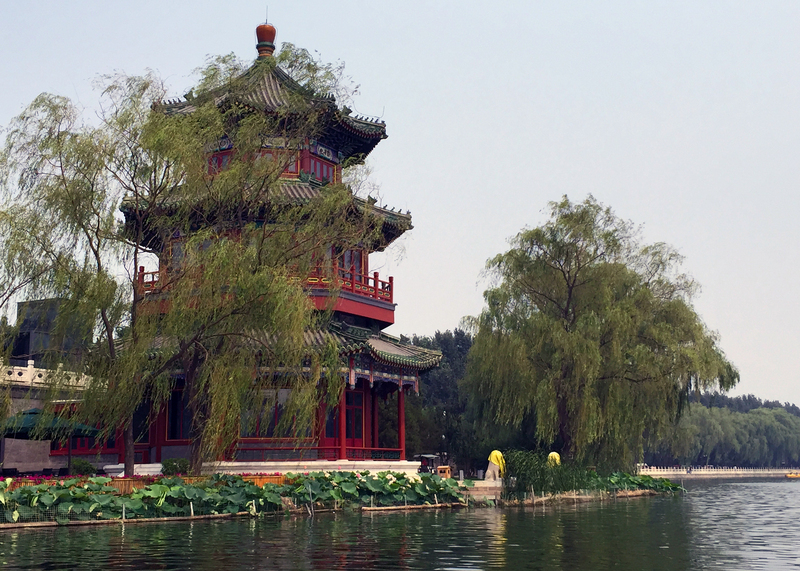 This is just the tip of the iceberg, there is so much more to see in Beijing. On our list for next time: Lama Temple (my personal favourite), Temple of Heaven and Summer Palace (must-see). We also want to explore other artist areas beyond 798.